RIPLEY – The Lynchburg-Clay Mustangs traveled to Ripley on Tuesday night and fell to the host Blue Jays by and final score of 81-41. The Blue Jays used strong defensive pressure and fast breaks to take the early lead and never look back. Noah Miller and Blake Marcelino led the Mustangs with eight points each. Tyler Stevens, Connor Tyree and Patrick Brown all netted five points. Chase Smaltz added three points, while David Giordano, Zander Blankenship and PJ Fiscus all scored two. Ripley was led by Jaki Royal with 17 points, and Nigel Royal with 15. TK Whaley scored 10, while Landon Rigdon had eight. Corey Germann scored seven, while Quincy Ellis had six. Landon Dearing, Peyton Fyffe, and Gabe Fyffe added four points. Cody Germann rounded out the scoring with two. The biggest points of the night came when Blue Jay Seth Darnell entered the game. Darnell netted the final two baskets of the game and brought the Ripley and Lynchburg-Clay faithful to their feet. Darnell scored four points on the evening to cap off the win for the Blue Jays and help them stay undefeated in SHAC play. In JV action, the Mustangs fell by a score of 39-34 to the host Blue Jays in a tightly contested battle. Chase Smaltz led the Mustangs with 16 points, followed by Patrick Brown and Zander Blankenship with six. Connor Tyree netted four and Brady Minton scored two. The Blue Jays were led by Cody Germann 16 points, followed by Quincy Ellis and Braiden Bennington with seven. Joel Herrmann added four points, while Daniel Patrick had three. Daniel Morgan rounded out the scoring with two points. In freshmen action, a slow start hampered the freshmen squad who battled back and cut the lead to within five points multiple times after being down by 15 at the half. In the end, the host Blue Jays prevailed by a 39 to 30 score. Coen Wilkin led the Mustangs with 12 points, followed by Harrison Burge with 10. Brayden Eversole scored six, while Austin Barnhill and Hunter Barnhill each netted one. Ripley was led by Braiden Bennington with 12 points, followed by Brayden Hanson with 10. Daniel Patrick scored eight, while Gabe Fyffe added four. Guess Cracraft added two, as did Kylan Planck. 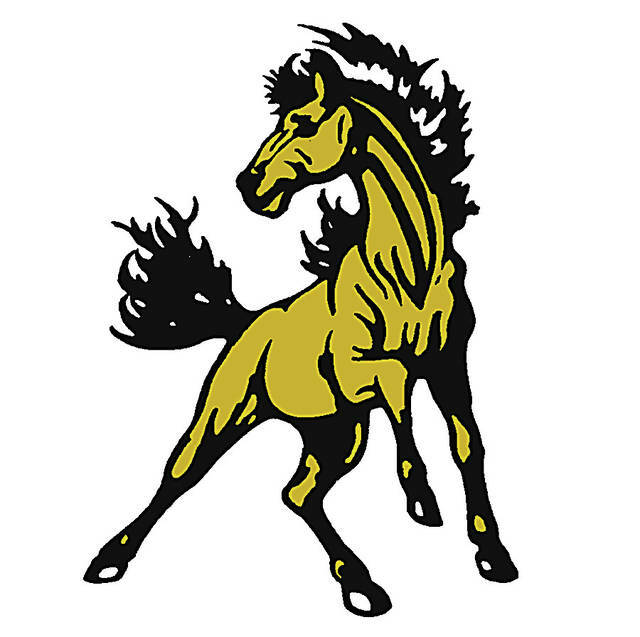 The Mustangs will be back in action tonight as they travel to Leesburg to take on county and SHAC rival Fairfield. Freshmen tip-off is scheduled for 5:00 P.M.